CARLOW is one of nine counties with no emergency refuge accommodation for victims of domestic violence and their children, according to Minister for Children and Youth Affairs Katherine Zappone. In a parliamentary question, the Sinn Féin leader Mary Lou McDonald asked the Minister for the counties that do not have such emergency refuge accommodation, and a written response showed that Carlow was one of nine counties with no such service. The other counties are Leitrim, Roscommon, Sligo, Cavan, Monaghan, Offaly, Laois and Longford. 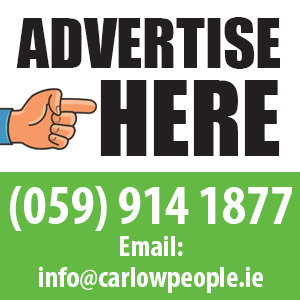 A report, ‘Homelessness in Carlow 2018’, found that Carlow women and children fleeing violent homes were accommodated in refuges in Kildare and Dublin, and that “some end up on the streets of Dublin”. The report was commissioned by the Carlow County Development Partnership and written by Dr Brendan O’Keeffe. Homeless campaigner Peter McVerry said the lack of a women’s refuge in Carlow was “scandalous”. The Minister said: “Tusla, the child and family agency, has responsibility for the provision of funding, co-ordination and support to 21 organisations which provide emergency refuge and emergency non-refuge accommodation to victims of domestic violence and their children. This facility was expected to re-open soon, she said. “In total, 155 family units of emergency accommodation are provided, 145 in emergency domestic violence refuges and 10 in emergency non-refuge accommodation. Cllr Andrea Dalton said Carlow Women’s Aid had recommended a refuge for women in Carlow and it was a “significant issue and women need such a service here”. She asked that the facility be expedited as progress was “intolerably slow”.